Getting a fast car on a budget may seem impossible. Many new vehicles start at $20,000, and adding features only increases the price tag. Those seeking extreme speed without breaking their wallet may have to start looking at classic cars to find their dream vehicles. Used cars tend to pack in more features for the price allowing you to get more bang for your buck. Take a look at these speedy new and used cars that won’t cause you to break the bank. 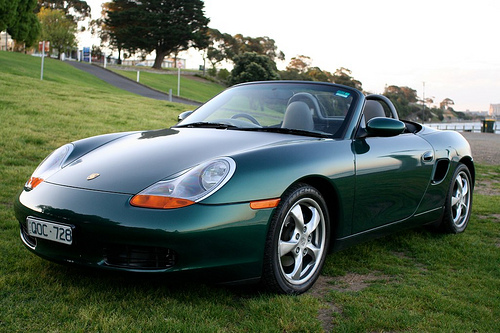 The Porsche Boxster is one of the most affordable vehicles produced by Porsche, but everything about it screams speed. The sleek convertible is smaller in size, but capable of reaching over 150 miles per hour in about 7 seconds. Many of the same features found on newer models can be found here, including great driving capabilities, a lavish body style and a powerful H6 engine. This modern sports car also strives to be practical, offering up to 23 miles per gallon on the highway. Both Base and S models will be able to produce more than enough speed. For the best results, look for 2000, 2001 or 2002 models. Base prices are valued around $11,000, with many used vehicles for sale under $10,000.